Constriction Part 1 (1982), 3/4” U-matic, colour, 14 mins. Collection: The Art Gallery of New South Wales; The Art Gallery of Queensland; Video Scan Gallery, Tokyo. 80 Langton Street, San Francisco, USA, 12 February, 1982. The Sydney Biennale, Sydney, Australia. 7 April – 23 May, 1982. A.U.S.T.R.A.L.I.A. at ZONA, Australian Artists In Florence, Italy.1 4, 6 July. 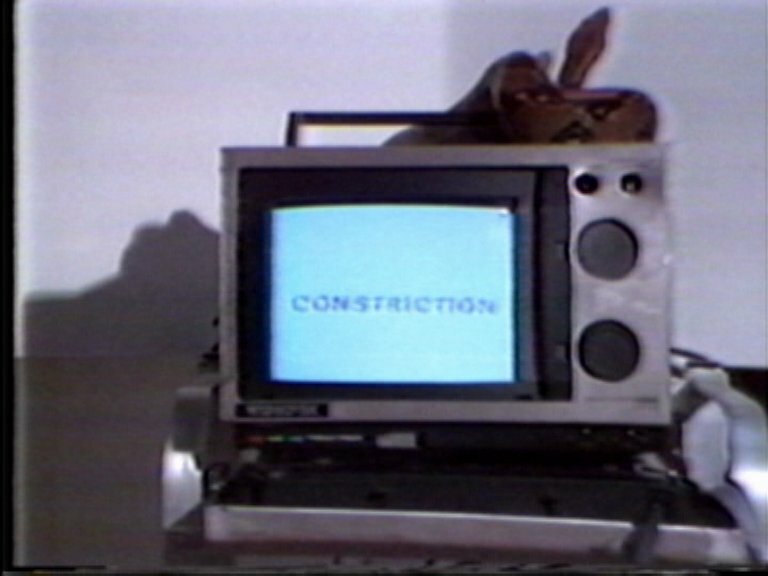 Continuum 83, Australian Artists in Japan, Tokyo, Japan, 22 August – 3 September, 1983 : Video Scan Gallery, Tokyo, Japan. D'un autre continent: l'Australie le rêve et le réel, ARC/Musée d'Art Moderne de la Ville de Paris. 4 October – 4 December, 1983. ANZART, Australian – New Zealand Exchange, Hobart, Australia. – Videos from Artspace to Anzart, May 1983. “This installation consisted of 2 pre-recorded color video tapes with different sound tracks; a live video camera mounted on the ceiling, three monitors buried under nine tons of sand, 12 white mice in a perspex box and three Revolving Desert Simulators. Funded by the International Cultureel Centrum, Antwerp, Belgium. Sound component using Revolving Desert Simulators only. Performance installation with video surveillance and Revolving Desert Simulator. Sponsorship: JVC Australia – Canberra Security Division. 1Commentary: Judith Blackall, “Exhibition Critiques, Italy, A.U.S.T.R.A.L.I.A. 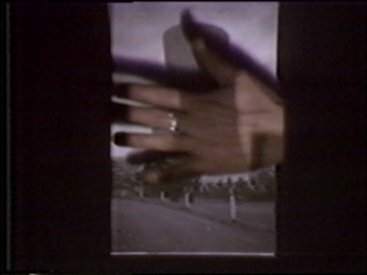 at ZONA”, Art Network, Spring, 1983, 44. 2Jill Scott, description of Constriction Part 2, installation at ICC, Antwerp, in Jill Scott, Constriction: An investigation in 4 parts. Apparently self-published document. 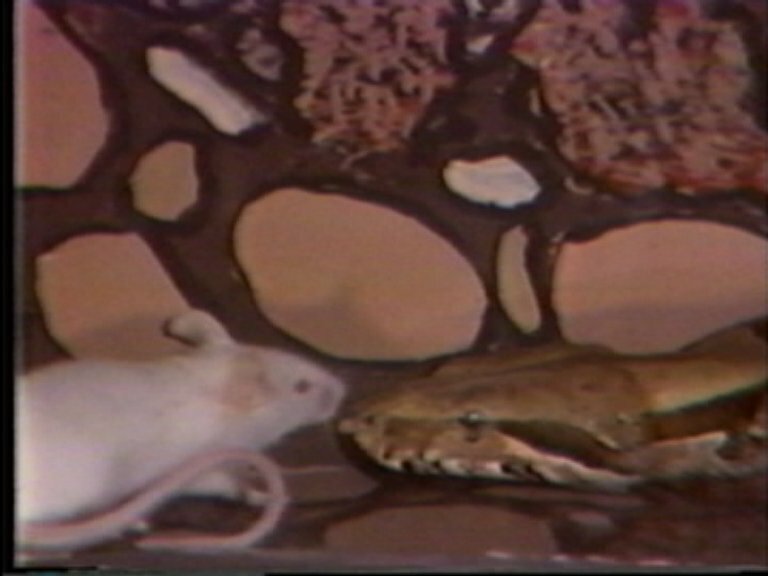 Still of title sequence from Constriction part 1. Still from Constriction part 1.